Every week during 2016 I emailed a tip to help independent estate and letting agents. Did you get them? These are just 7 of the 52 I sent out in 2016, and if you are not on the list, you missed out on some fantastic free tips, tricks and tactics to grow your agency. To get on the list, just click on the link below and let me know which email address you’d like me to send them to, then sit back and wait for your inbox to ping! 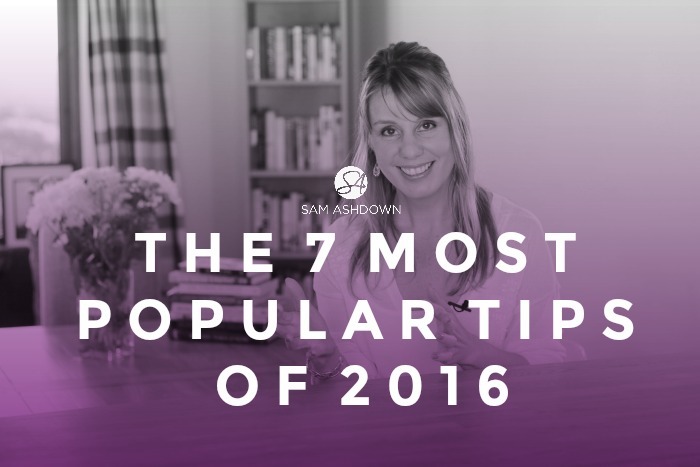 In the meantime, here are the 7 most popular tips from 2016, as voted for by my readers’ mouse buttons…. 3 quick tips to wow your vendors and attract new ones through your brilliant photography skills. 1. Houses are like ladies – we don’t like being photographed from underneath. Don’t use an upward angle for your front shot of the property; it’s unflattering and unnatural. If you can, get higher, so that your eye level is roughly in between the top and the bottom windows. You should aim to see a bit of the roof in your shot, but don’t take it so high that the house looks like it’s sloping away from you. 2. 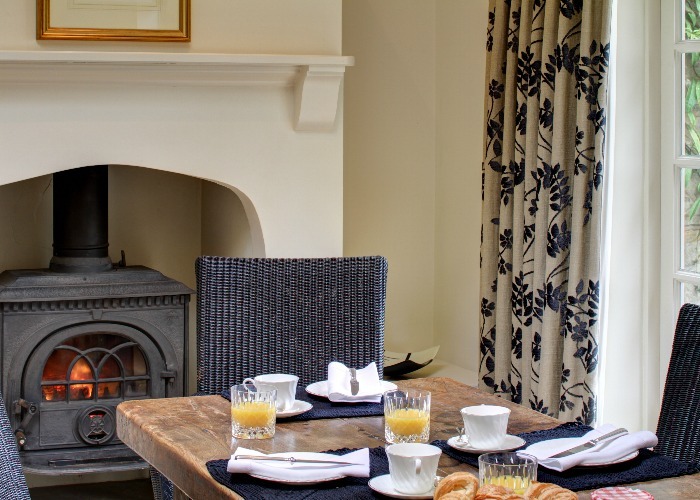 Take some ‘lifestyle’ shots too – you don’t need to get all arty, just some close-ups of any notable features in the house; a lit fire, the Aga, a window seat. Not only will they be good ‘filler’ images for the brochure, you can also use them on your website, with permission. Lifestyle images make lovely blogpost features. 3. Switch on lamps, but not overhead lights – lamps cast a nice warm glow to rooms, and make them look homely and welcoming. Overhead lights usually do the opposite. They also look distracting, poking into the photograph from the top, so move the camera angle down so you don’t include any ceiling light fittings. 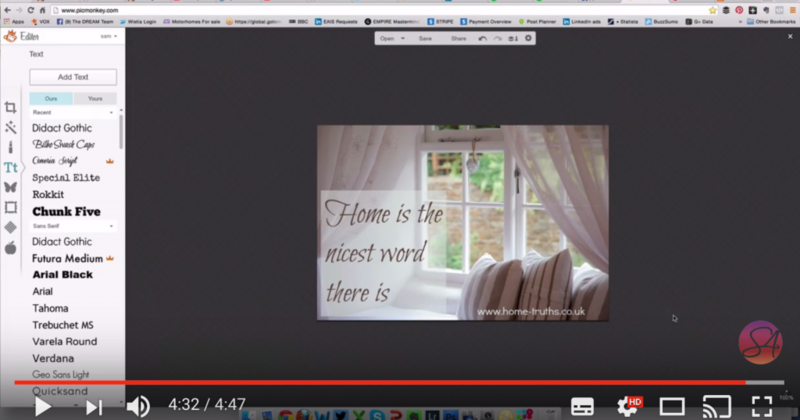 Get these three elements right and not only will you wow the buyers, your vendors will love you! How many leaflets did you send out in your last campaign? 5,000? 10,000? More? And how many instructions did you win from it? 10? 5? Less? As I’ve talked about on my blog before, mass canvassing damages trust and increases marketing immunity. It simply trains your audience not to respond to your leaflets. Hot – people who already know, like and trust you. Warm – people who don’t necessarily know you, but they may be considering moving in the next year or so. Cold – people who have no idea who you are, and are not considering selling or moving. Amongst your say, 10,000 chimneypots, you may have 500 in your hot bucket, 2,000 in your warm bucket, and 7,500 in your cold bucket. So even though your hot audience is your low hanging fruit, and the warm people may be swayed into action by your marketing, you’re spending 75% of your money and effort on people who are unlikely or highly unlikely to respond. Lightbulb moment: you can’t market to these three audiences in the same way. The hot people, you can call and have a catch-up chat with on a regular basis; your canvassing pound will be wasted with these people. The warm people are probably the most likely to respond, especially if your message is reassuring and friendly, and carries a ‘when you’re ready to move’, not IF, message. The cold people are simply too cold to respond to a canvassing leaflet. 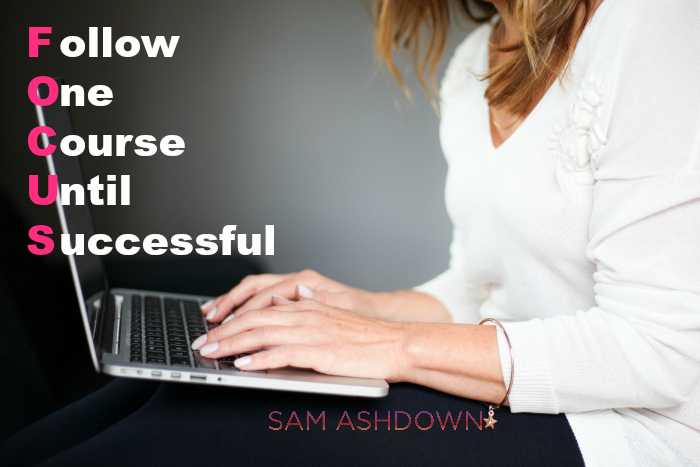 To get them to respond, you’re going to have to be more sophisticated in your marketing. These are people who may well click to download your ebook from a Facebook ad, or who will come to an information evening, if there’s something in it for them. Marketing to cold people is hard. It need sophisticated and carefully crafted marketing campaigns to warm them up, before you ask for a market appraisal, otherwise they will just ignore you. A clever question you’ll be glad you asked. It’s such a simple question, but very clever. If they give you an answer that isn’t “Forever!”, ask if you can keep in touch with them in the meantime. If they tell you “No idea!” ask the same – can you stay in touch? Whatever the outcome, every now and again you’ll come across a buyer who says “Not long…” and then you could have just found a new vendor before anyone else does. As estate agents, we like shiny new things, right? I certainly do. The latest tech, the hot new trend, the newest style website. We want them all, and we want them now. It’s not our fault; we’re made that way. We’re salespeople, and that means we love the thrill of the deal, and the roller coaster ride that goes along with it. After all, who in their right mind would run a business where we do all the work months (or longer) before we take a single penny from our clients, and where even then, only around 75% of deals will come off?? So if you want to implement all your new ideas, immediately, you’re not alone. Trouble is, you can’t. Well, not successfully, at least. You’ll get overwhelmed, frustrated and burned out before you’ve managed to implement everything. I know this, because I’ve been there, lots of times. I too felt overwhelm at all the exciting new ideas I wanted to apply to my business, and ended up with a lot of half-baked, half-finished, poorly-executed initiatives, most of which just didn’t work. It made a lot of sense. So I reined in all but one of my ideas, putting all the rest of them on a list called ‘Backburner’. Then, I divided up the campaign or project into several smaller steps, and put them in the best order for implementation. I printed out a calendar and wrote each step on a date that represented a realistic timeframe to get it done, and a final delivery date for the entire project. Then I worked on it until it was finished. Without looking at any of the other shiny ideas on my Backburner list. My tactic was to work on each project first thing every morning, for at least an hour or two, before opening any email or switching the phone on. Perhaps you’d prefer saving a couple of hours at the end of each day, or taking a whole day every week to work on your current project, maybe from home, to avoid work distractions. Whatever works for you is fine, just so long as you actually set aside the time to do it. Otherwise, as we both know, it will become sidelined amongst all the detritus of your working day. Why not try it, and let me know how you get on? If you’re trying to make your Facebook page more appealing, or your blog more exciting, or just striving to make your visual content more clickable, then this video tip is for you. In just 4 minutes 48 seconds, you’ll discover exactly how to create images that make people click. It’s easier than you think, and with this terrific little website, completely free. Enjoy, and send me any images you create – I’ll share them on my Facebook page with a link back to you. Want to be a Client Magnet? This could be the secret…..
Stock is low and competition is brutal, right? Attracting new vendors and landlords is becoming harder and more expensive. One agent tells me he regularly sends out 20k canvassing cards every month for a measly 4 calls; another has a £400 weekly budget with her local paper and it’s been months since she had any response. So how can you be that go-to agent of choice without spending the equivalent of your office rent on direct mail and advertising? By being the most useful person you can to them. Whether that potential client is thinking of selling, letting, buying or renting, they have a challenge and YOU are the best person to help them overcome it. Perhaps they live in a house that’s just too big for them, with stairs that are now difficult to manage and a garden that they can’t maintain; or they have a portfolio of rental properties, and they are concerned they aren’t fully compliant. Whatever it is, you can help. You are the expert – the bridge between their challenge and its solution. But how can you prove you’re the person they need, if you don’t know who they are? The answer is to let them find you. Make your website and all your marketing material about them – not you. Create a resource hub for anything they may need to know so that they will find the answers to all their questions in one place, and then associate your company with their sense of relief and gratitude at having their problem solved. Don’t expect to create this treasure trove of resources overnight – it will take you time to build up a library to be proud of. Start by writing a simple article to address every common question – the version of an FAQ page – and posting it on your website. If you develop it continuously with every new legislation and government initiative released, you’ll soon have the best, most comprehensive resource hub in your area. Clients are looking for answers; give them what they need, and they will reward you with their business. Do you use LinkedIn? As an estate agent, it can be a massively valuable tool for you. But that’s not what this Supertip is about. Today I just want to ask you – how do you respond to a Linkedin invite from someone you don’t know? But you could also be wrong. Frankly, you don’t know what their motivation is for inviting you, but if you don’t respond in the positive, you may miss out on a golden opportunity. Ignoring an invitation is like not answering the phone in your office in case it’s a sales call. Give them the benefit of the doubt, and add them. You can always disconnect later, or you could be thanking me for your wonderful new client. Hey Sam, I’d like to think I know every trick in the book – but this is new to me. What a great idea!! As a new reader of your emails, I’m already looking forward to learning more from you. Hi Sam – Just wanted to let you know out Facebook community page has got off to a great start! 150 likes in 24 hours! Just by following your step-by-step tips. Thank you so much! After 12 years in the industry I can confidently say your tips are the most refreshing and useful I have heard so far! The nature of agency desperately needs to change. A change which I believe still remains in the most initial of stages. I very much hope to implement your tips and advice in our agency. Thanks as always for your wonderful tips and advice; they are always so useful and insightful. I’ve been reading some of the emails you’ve sent to our company, you’re a gem and will create a folder for you so I can keep all your tips in one place! b) I want to score myself and make sure I do, do things the right way. Being an old hand I expected that I’d be right all the time!!!! but far from it, all I can say is that you’ve taught an old dog lots of news tricks and made me realise that yes in some cases I was doing the process the right way, but maybe my attitude needed to change. The net result is a better take on rate, certainly better customer care and reputation for my company! Thanks again, this time I thought that I would just reply to say thank you very much.